The controversy became worse when Hyde-Smith corporate PAC contributors Walmart, Union Pacific, Major League Baseball, Boston Scientific, Pfizer, Amgen, Leidos, and AT&T all asked for refunds in direct response to her comments. On the flip side, Sen. Hyde-Smith is hitting the airwaves with commercials featuring President Trump, in ads that Great America PAC is running, along with campaign sponsored spots starring Gov. Phil Bryant (R) and NFL Hall of Fame quarterback and Mississippi native Brett Favre. The president is also conducting two rallies for her, one in Tupelo, and the other in the Gulf Coast city of Biloxi. Sen. Hyde-Smith’s other ads emphasize her conservative issue positions and draw a clear ideological contrast between she and Espy. The Senate Leadership Fund is also airing a spot that revisits the federal public corruption charges brought against Espy when he was President Clinton’s Agriculture Secretary. The ad fails to mention that he was not convicted. For his part, Espy is going on offense regarding Sen. Hyde-Smith’s comments, calling for unified hard work to overcome Mississippi’s stereotypes, the state’s often characterized poor image, and wanting to move the region forward economically so young people will want to stay home because of new existing job opportunities. Polling has been sparse. 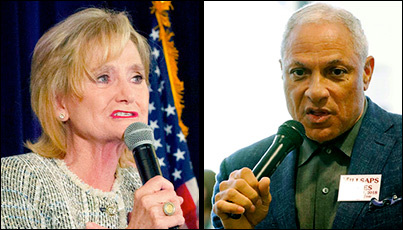 A pre-election survey from Marist College (Oct. 13-18; 511 likely Mississippi voters) found Sen. Hyde-Smith leading a proposed run-off between she and Espy, 50-36 percent. Now, a just-released follow-up survey from JMC Analytics along with the Bold Blue Campaigns consulting firm (Nov. 19-21 & 24; 684 likely Mississippi voters) projects Hyde-Smith to a 54-44 percent lead over Espy. This poll is obviously more significant because not only is it timelier but was conducted after the controversial comments became a dominant news story. 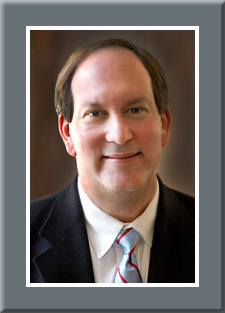 As is the case in all special elections, turnout will be the determining factor. Republican and conservative turnout will be key, since they dominate the state. The definitive questions remain as to whether enough of the Hyde-Smith coalition will participate to off-set what will likely be an energized Espy alliance, or will the GOP give away yet another contest that they should easily secure.